Physical therapy is an essential part of joint treatment; therefore the physical therapy team at The Stone Clinic is an integral part of our practice. In our experience, following a great physical therapy program makes a huge difference to how people heal. In some cases, physical therapy can help you avoid surgery altogether. We seek to reduce pain using non-operative physical therapy in the first instance. We use surgical correction only when required. Eating well maximizes performance and recovery time and maintains overall health. It also helps with weight management. Optimizing your weight is the single best step you can take to prevent joint damage and prolong an active lifestyle. Our rehab protocols have been carefully developed by our Physical Therapy team along with Dr. Stone. 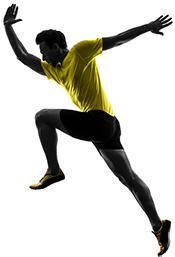 We focus on attaining post operative goals along with full realization of functional and athletic goals. We rehab our patients to become StoneFit whenever possible: fitness is: strength, agility, balance, proprioception, cardiovascular/respiratory endurance, stamina, flexibility, power, coordination, and accuracy better than the patient has been in years.